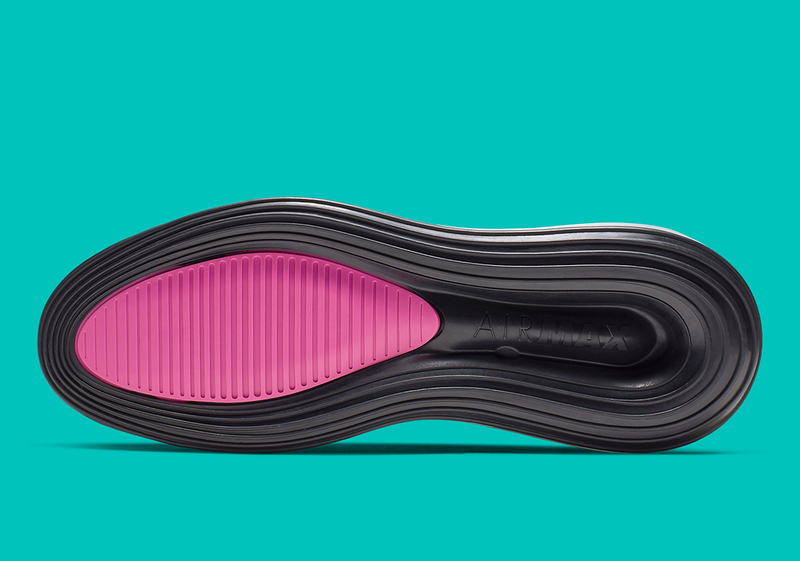 Ever since the release of the Nike Air Max 720 in February, the Beaverton brand has been looking for new and unique ways to implement their all-new Air Max unit onto different silhouettes. Many classic models have been given the Air Max 720 treatment, while new silhouettes are receiving it as well. 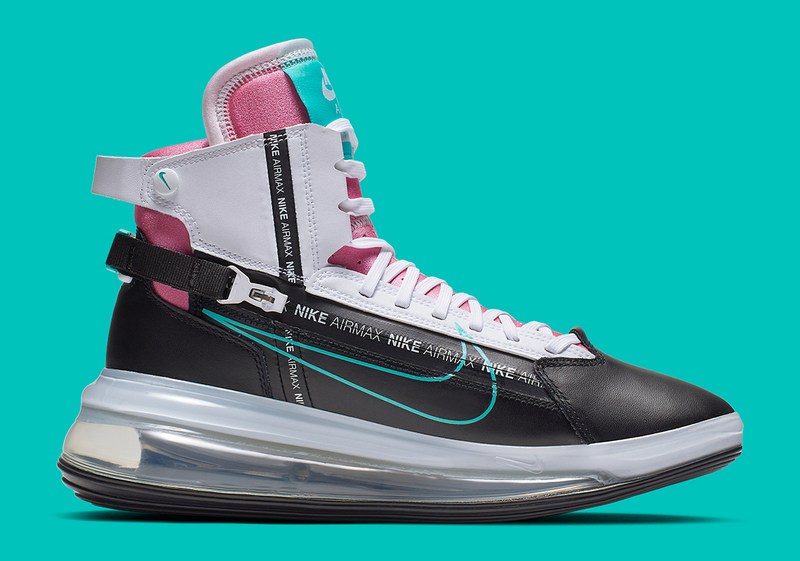 One of those new models is the futuristic-looking Nike Air Max 720 Saturn that almost looks as though it should be worn by Moto GP racers. While few colorways of the shoe have come out so far, Nike has slowly been unveiling new options and today they showed off probably their most colorful model to date. 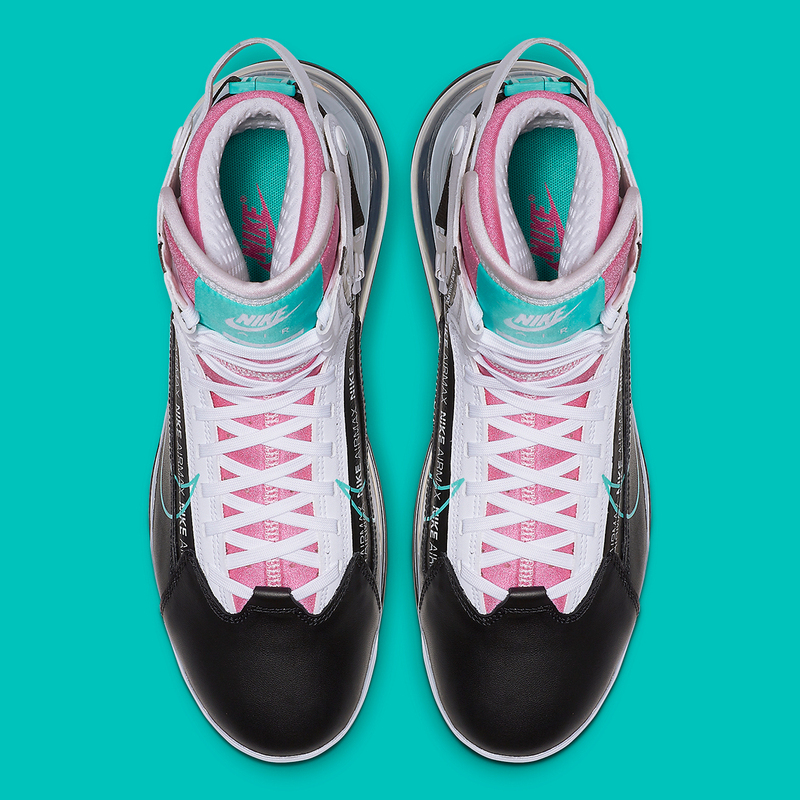 Don't be fooled by the primarily black upper. 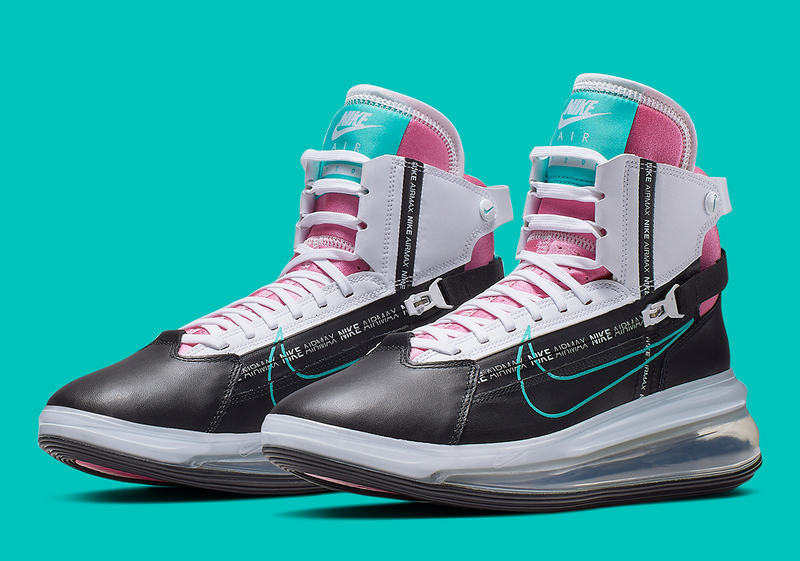 These kicks come decked out in some Miami South Beach vibes as pink and turquoise find their way onto the tongue and back heel of the shoe. Meanwhile, the outline of the Nike swoosh on the side is turquoise as well. The laces and the cage surrounding them is white, while the Air Max unit is completely translucent. Unfortunately, there is no set release date for these kicks as of right now, although according to Sneaker News, they should be available in the coming weeks for $200 USD.